US Pool Tile is your source for the widest selection of glass, ceramic and porcelain mosaics. 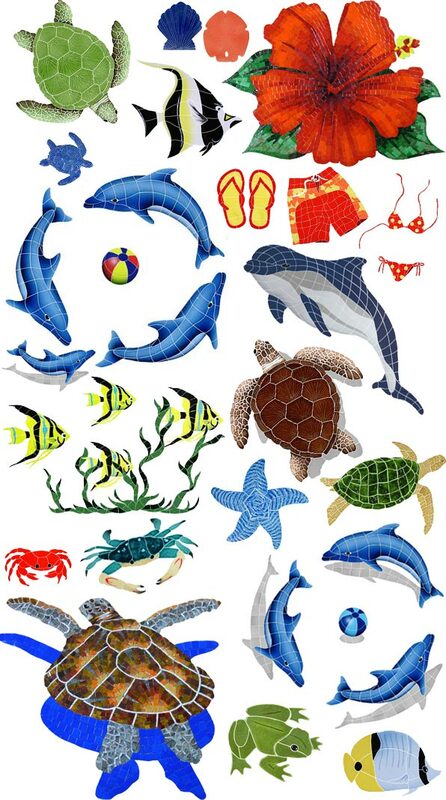 A great way to add a splash of fun and energy to any pool / spa decor, these dynamic additions are a hit with kids and adults alike. It is also possible mosaics can add an element of safety by allowing swimmers to help gauge pool depth.